- Ideal for construction, Industrial & municipal jobs. Used for the purpose of collecting and depositing in one particular place so that it may be loaded in the lorrys. 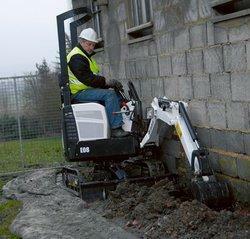 Bobcat is mainly used in narrow lanes where JCB and other loaders can’t be deployed.